Ours is not a garden of winter flowers. I still find it beautiful in winter, but that is great part due the plant forms, dead, alive, with or without leaves, that fill it. Structure helps it at this time of the year too. It’s (very, very) far from being a perfectly constructed garden. In many ways it’s a bit scruffy, and in many ways, so is its owner. It is however an attractive scruffiness, at least in the case of the garden, that works in this rural setting, and gives due place to both the plants and man-made structures (stone labyrinth, hedge enclosures, rose arbour) that give it shape. The few flowers that there are however, lift my heart, and are all the more loved for the fact that they are small, subtle and few and far between. 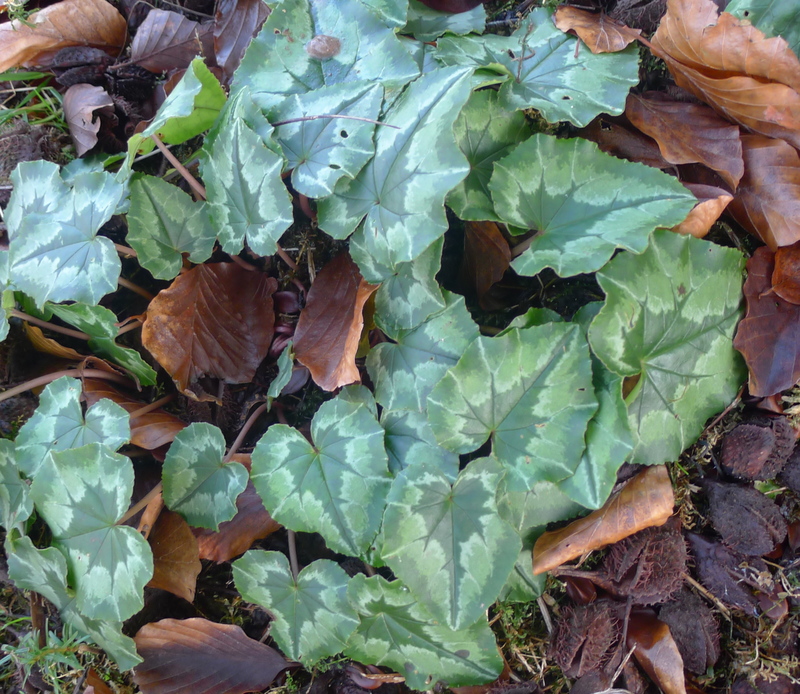 The flowers of cyclamen herderifolium that saw us into the new year have gone, although their patterned leaves are still very lovely, and I notice them every day alongside the drive, nestled in the moss under the beech tree. New things are taking their place, and they grow in number every week. 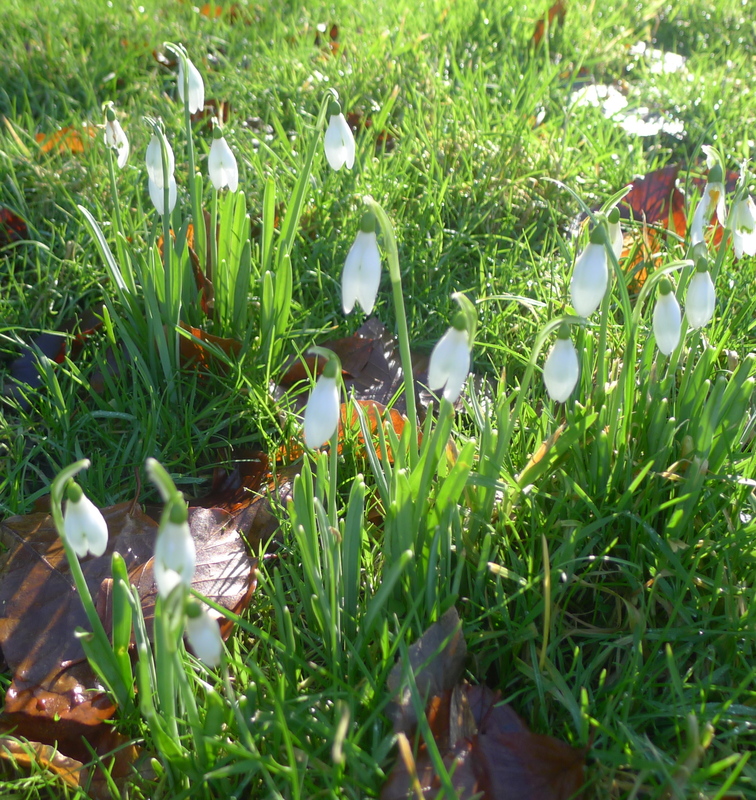 Of course there are snowdrops. I only have the simple, common single snowdrop, galanthus nivalis, but it is all that I need here. We don’t yet have great swathes of them. 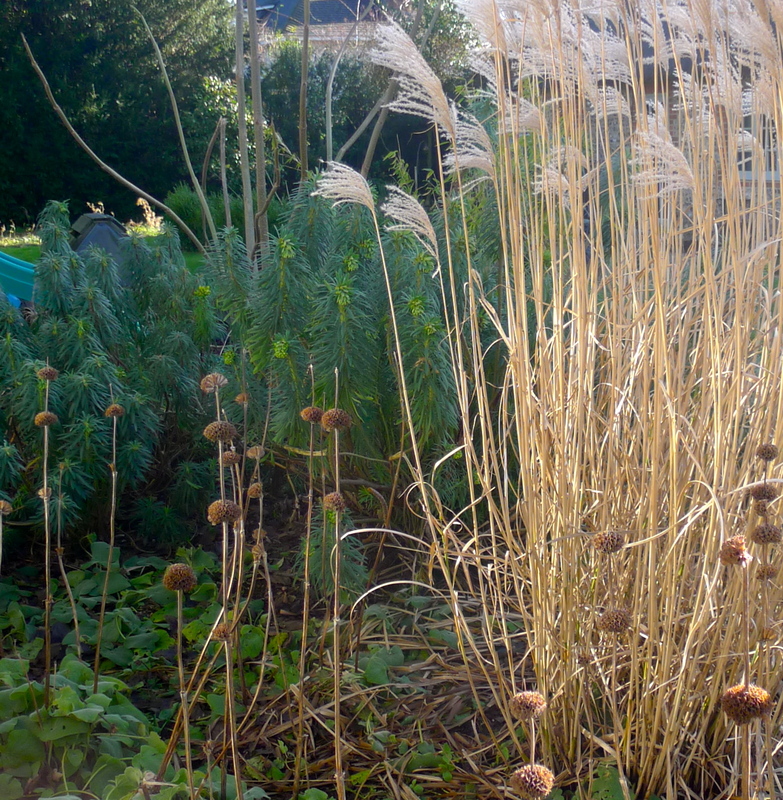 I dream of great swathes, ogling other people’s swathes in magazines and others gardens. We have numerous clumps. Every year a few of the larger clumps will get divided, and spread around, and every year it gets a tiny bit less clumpy, and a tiny bit more swathe-y. Then there are hellebores. 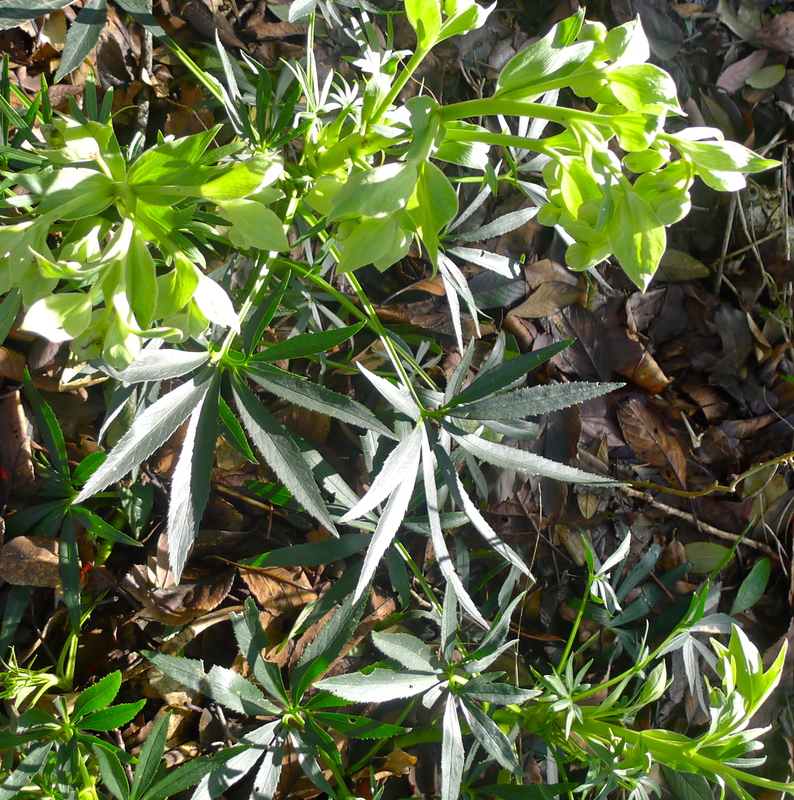 There are several patches of stinking hellebore, helleborus foetidus. It loves our soil and self-seeds nicely, so I am always looking for new spots to start a little colony. They are a perfect year round hard working plant. Evergreen here, dark coloured but with an interesting leaf shape, and charming little lime green flowers with pink tinged tips that seem to flower for months on end, and last in water when cut for the house. Other than those, there is one little Christmas rose (helleborus niger) tucked in a shady corner at the edge of the terrace. It never quite flowers for Christmas, but is always covered in white blooms by mid-January. It is a reminder of a family birthday celebration some years ago, where it and its friends (one now in my parent’s garden, the other in my sister’s) formed part of the table decoration. This year the Lenten roses (helleborus orientalis) are in flower too, earlier then I expect, although not yet giving of their best. They are a jumble of un-named forms, all from the Beth Chatto gardens, and they all very lovely indeed. Also earlier than I expect is my little cluster or iris histrioides ‘George’ by the kitchen door. They were perfect his year, deep noble purple, and very striking against the light gravel that surrounds them. At least they were until the goose ate them.